Venice is a city in northeastern Italy sited on a group of 117 small islands separated by canals and linked by bridges. It is located in the marshy Venetian Lagoon which stretches along the shoreline, between the mouths of the Po and the Piave Rivers. Parts of Venice are renowned for the beauty of their settings, their architecture, and artwork. A part of the city is listed as a World Heritage Site, along with its lagoon. Venice is the capital of the Veneto region. 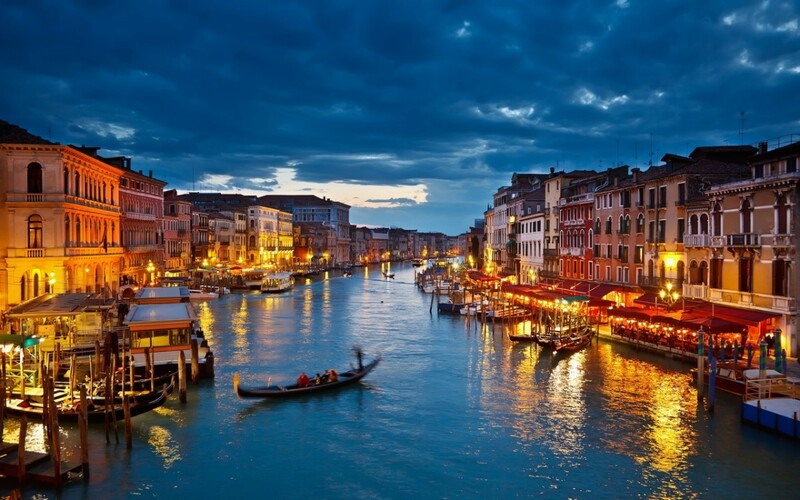 Venice is one of the most important tourist destinations in the world for its celebrated art and architecture. The city has an average of 50,000 tourists a day (2007 estimate).In 2006, it was the world’s 28th most internationally visited city, with 2.927 million international arrivals that year. It is regarded as one of the world’s most beautiful cities. Venice is served by the Marco Polo International Airport (Aeroporto di Venezia Marco Polo). Some airlines market Treviso Airport in Treviso, 30 kilometres from Venice, as a Venice gateway. Some simply advertise flights to “Venice”, while naming the actual airport only in small print.